The new iOS software update is available for Apple devices right now, bringing with it a suite of new features and functions that will breathe new life into your old device. It’s a mixture of fun and function, with the likes of new Animoji’s and filters rubbing shoulders with more practical features such as privacy and time management. There’s a lot to unpack, and a lot to look forward to with iOS 12. Naturally, this update is available for Apple’s newly announced phone line up, but if you’re not looking to upgrade yet, don’t worry, it’s probably also available for your existing iPhone. Read on to learn everything you need to know about this latest operating system. When is iOS 12 Available? If you’ve been waiting for iOS 12 to roll out, then good news, the wait is over. Yes, you can download it to your phone right now. The easiest way to do it is on your device. You’ve probably followed this process before, but if you need a refresher, it’s a case of going into Settings > General > Software Update. You should be able to then select the option to download the latest version. You might have to clear out some space if you tend to always be at the limit of your storage. It’s also a good idea to make sure your device is backed up. The chances of losing anything are slim, but it’s not one worth risking. You can also update your device via iTunes. Simple plug it into your computer, boot up iTunes, and click the ‘Check for Update’ option, then ‘Download and Update’. Which iPhones Can Run iOS 12? Should You Download iOS 12 Immediately? While we’re sure that Apple has put the update through a rigorous testing process, nothing can truly stress test a software update like a release to millions of users. Quite often issues can occur that were never encountered or anticipated in testing. These bugs can manifest themselves in many ways, from potentially serious, such as iOS 11 initially draining the iPhone battery at an alarming rate, to more trivial, like the time an update auto corrected the word ‘it’ to ‘I.T.’. Regardless, based on previous releases, we know that Apple will be on standby to address these issues as they are reported. If you’re not too put off by teething troubles then you can update now, but sometimes it can pay to wait for a few days before getting the latest software update, in case any big issues are revealed. There’s no harm in being cautious. What it Does A general speed boost for your device, making it quicker at opening apps use features. How You’ll Use It Every been frustrated with the speed at which it takes the camera app to boot up? If you’re on older hardware, you may have noticed it flagging at times, but with this speed update you can rest assured you won’t miss those spur of the moment shots, thanks to a 70% speed increase in swiping to camera. If you’re a texting addict, then you’ll also be happy to hear that the keyboard will now appear 50% faster. You’ll also see a general speed boost for opening apps. Apple devices tend to be pretty slick as it is, but this small quality of life change is sure to be appreciated. What it Does Enables you to choose not to be disturbed by calls or messages at key moments. How You’ll Use It The Do Not Disturb feature is intended to give you a break from your phone and the virtual world it contains when you need to focus, whether it be an important meeting or dinner with the family. You can set the Do Not Disturb function for an amount of time, or even to be active while you’re at a location. Say you’re attending a meeting off site, just set Do Not Disturb on until you leave the location, and once you’re out of the meeting, your iPhone will resume as normal. In this mode, alerts, messages and calls won’t sound, but they’ll be ready to pick up when you return to your phone. What it Does Monitors how much time you are spending on your device, or on certain apps. How You’ll Use It Screen Time keeps track of your device activity. Ever wondered just how much of your day is spent on Facebook, or reading Tweets? Well, now you can find out, to the minute. If you’re shocked by what you see (“Did I really spend that long watching cat videos on YouTube?”), you can even use the feature to impose time limits on app activity. It could prove a useful tool for serial procrastinators. It should also be a welcome feature for concerned parents, who will be able to see exactly how their kids are spending their time and implement limits accordingly. The kids might not be too keen though. Both Do Not Disturb and Screen Time are similar to recent updates on Google devices. What it Does Sharing your photos with friends and family has become easier, with new photo sharing options. How You’ll Use It If you’re regularly attending parties and events with friends, you’ll find that everyone has their own set of photos, and sharing them can sometimes be a frustrating case of picking through them one by one. With the new set of options, Apple has added a For You tab to the Photos app. It will intelligently recommend snaps to share with people, and not only that but friends and family will be prompted to send you any photos they took at events you were at. The search function has also been improved, and it’s now easier to look for photos in the app using keywords and phrases. 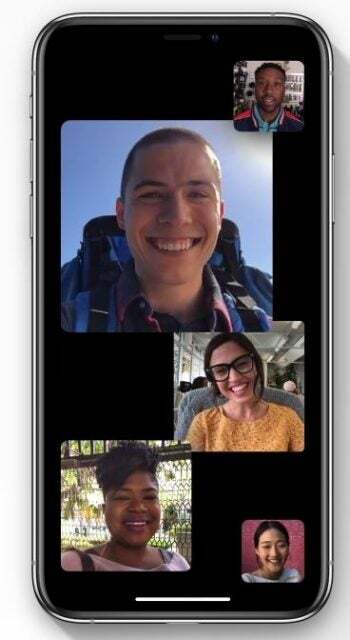 What it Does Face Time is now usable with up to 32 people. How You’ll Use It It’s hard to know exactly who out there has been crying out to FaceTime 31 other people at the same time, but we can’t help be impressed all the same. Quite how successful having a conversation in such a large group would be remains to be seen, but the app automatically enlarges the video box of the current person talking, so it’s easy to keep track of the chat. What it Does New privacy features protect your identity and give you more control over what websites know about you and how they follow your movements. How You’ll Use It As recent headlines have shown, Privacy is big news in the Tech world. From Facebook’s grovelling campaign to win back trust, to foreign hardware brands like Huawei coming under scrutiny, we’re all a concerned about what information is being shared about us, and rightly so. Apple is helping you keep tabs on this with new Privacy features in iOS 12. 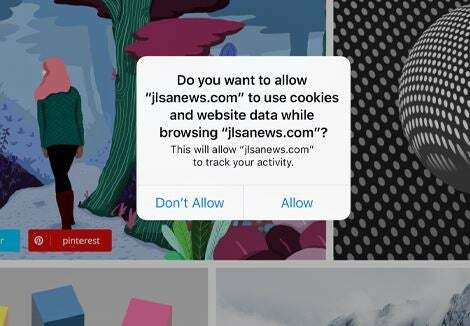 Safari will now actively block Share buttons and comment widgets from tracking you without your express permission. It will also stop advertisers from seeing unique, identifiable information about your device, meaning that you’re less likely to be targeted by advertisers. What it Does More ways to make your messages and video chats fun, with a host of new emojis and stickers. How You’ll Use It Apple have introduced a new type of emoji, the Memoji. Users can create one to match their personality and mood, and use it in Messages and FaceTime. They’re just like Animojis but human cartoons, so you can create a “mini me”. Speaking of which, Apple has also introduced four new Animojis to the collection, with koala, ghost, T-Rex and tiger now available. If this is the highlight of iOS 12 for you, we won’t judge. Stickers, filters, animated text and emoji’s can all be added to live FaceTime conversations directly from the in-app camera, which should spice up those 32 people FaceTime chats.